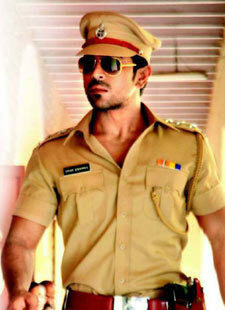 Mumbai Ke Hero song lyrics from 2013 movie Zanjeer is sung by Mika Singh. Anand Raj Anand has composed its music and Shabbir Ahmed has written is lyrics. Leading star cast Ram Charan Teja and Priyanka Chopra has performed on this song. Main jaagoon to shehar sota.. oo ..
Jaan hatheli pe rakhta.. wo..
Oh my god is that your gun, can I hold it please. Aau aau aau aau, aaunga main jaaunga..
Dekho.. hum hain Mumbai ke hero..